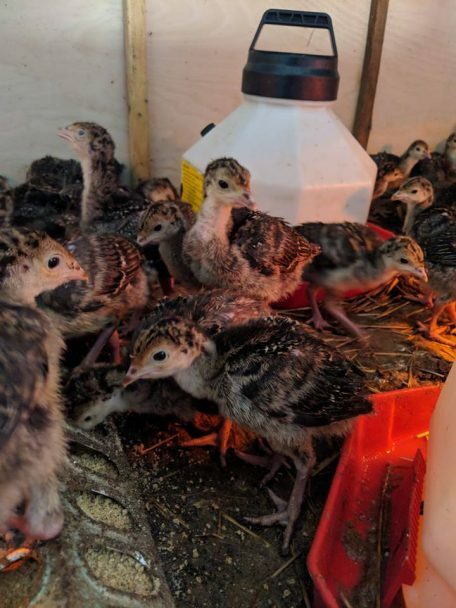 (ANNAPOLIS, MARYLAND) – November 2018 – David Hancock of Hancock Family Farms in Charles County, Md., was a little nervous the day he brought 200 young turkeys home in the back of his wife’s minivan. 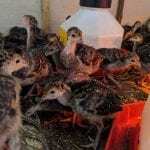 The tiny young “poults” need to stay warm so they got settled into a barn on his 360-acre family farm back in July, and then spent the summer and fall getting bigger. Now, they are ready for holiday tables. As the holiday season approaches, the Maryland Department of Agriculture encourages all Marylanders to incorporate local products in their celebrations. 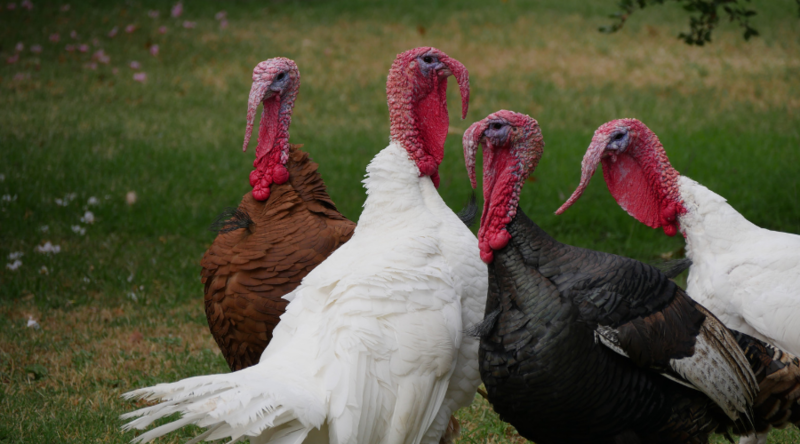 According to the latest USDA Census of Agriculture (2012), 117 Maryland farms sold 154,404 turkeys. By purchasing a locally-raised turkey, consumers help to support our family farms and community. Maryland seafood, in addition to being tasty, is a nutritious addition to any holiday feast. Low in fat, sodium and calories, it contains important vitamins, minerals and omega-3 fatty acids for a healthy heart. Looking for a quintessential Maryland combo? Pair the recipes below for Heritage Roasted Turkey and Skipjack Oyster Dressing and keep the local theme rolling by adding locally produced cheese, produce, beer, wine and more! Visit MarylandsBest.net to find a farm near you, and check out other recipes in the 2018 Buy Local Challenge Cookbook. Preheat the oven to 325°F. Place the turkey breast side up on a roasting rack in a shallow roasting pan. Make six small incisions in the turkey’s skin using a sharp knife. Insert the garlic under the turkey’s skin. Spread the mustard over the turkey’s skin with a knife, and then drizzle the olive oil over. Sprinkle the salt and pepper on the turkey’s skin and in the cavities, and place the onion in the neck cavity. Sprinkle the sage, thyme, rosemary, and savory over the turkey, and insert a meat thermometer into one of the thigh areas near the breast. Loosely cover the bird with aluminum foil, making a tent over the turkey and lightly tucking the foil around the edges of the pan. Roast for about 4 hours, or 15 minutes per pound. (See Note). About 30 minutes before the turkey is done, remove aluminum foil and allow the skin to brown. Continue roasting until the meat thermometer reaches 180°F and the turkey’s juices run clear. Remove the turkey from the oven and let it stand, covered, for 20 minutes. Note: If you choose to stuff the turkey, you will need to increase the roasting time. Finely chop celery and onions. Sauté in margarine or butter until tender. Mix in seasonings. Add oysters with liquor and simmer until edges of oysters just begin to curl. Remove from heat and gently mix in bread cubes. Adjust moistness with water as desired. Makes about 4 cups dressing (allow about ½ cup per pound for fish; 1 cup per pound for poultry). Note: For an extra special tangy taste, core and finely chop 2 medium apples and add with celery and onions when cooking. Yield will increase about ½ cup. Also: When adding the oyster liquor, pour slowly from the jar and allow a few tablespoons of liquor to remain in the jar. This will prevent any sand or bits of shell from getting into your stuffing. Hungry for more? Sign up for our newsletter and find us on Facebook, Twitter and Instagram.